While garlic plays a supporting role in most dishes, Classic Garlic Soup makes it a star. You might be a skeptic but give it a try. We think it’s safe to say you’re gonna love it. Garlic soup is one of those meals that turns humble ingredients into a meal of their own. In this Classic Garlic Soup recipe, 20 cloves of garlic (Yes, you read that right – 20!) are cooked down low and slow until it basically disintegrates into the broth. 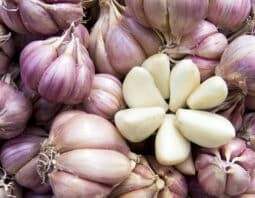 Twenty cloves may have you worried that the garlic flavor is overwhelming, but cooking it down like this makes it shine with roasted garlic flavor without being too harsh. 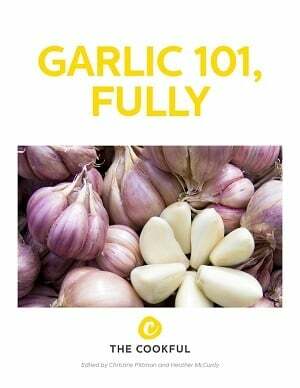 However, if you’re still worried, make sure you check out our tips for how to beat garlic breath. In the French version, garlic soup is thickened with chunks of bread, which is what we used here. 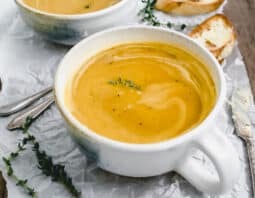 After cooking all the ingredients together, everything is blended until smooth and you’re left with velvety, warming garlic soup. 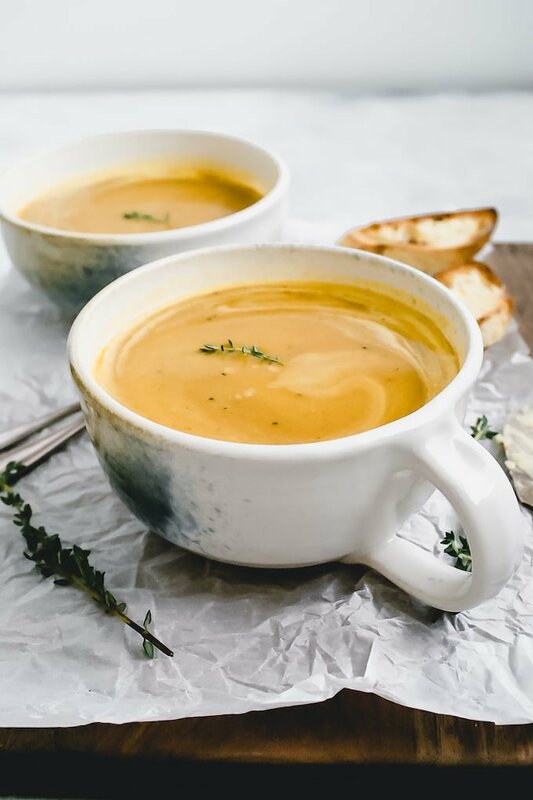 If you need a quicker weeknight meal, we recommend this Easy Garlic Soup Recipe in 15 minutes from our sister site, Cook the Story. While garlic plays a supporting role in most dishes, Garlic Soup makes it a star. You might be a skeptic but give it a try. We think it’s safe to say you’re gonna love it. Heat butter and oil over medium heat in a heavy pot or dutch oven. Add onions, garlic and salt to the pot and cook, stirring occasionally, for about 10 minutes. Add broth, bread crumbs and thyme to the pot, and bring to a boil. Lower heat and simmer for 20-30 minutes. Remove thyme leaf stems and, using an immersion blender (or working in batches with a traditional blender), blend soup until smooth. Taste and season with salt and pepper to taste. Serve with a drizzle of whipping cream.